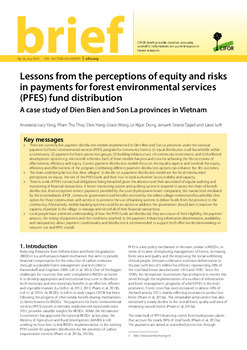 Vietnam is the first Southeast Asian country to implement a national program for payments for forest environmental services (PFES), providing lessons on how such systems can be designed to achieve forest outcomes that are effective, efficient and equitable. 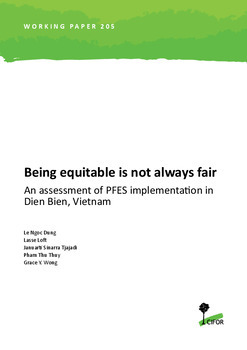 This Working Paper presents results from an in-depth study on the implementation of PFES in Dien Bien province, Vietnam, which assessed how equity was locally conceptualized in the PFES benefit-sharing process and the factors that influenced local perceptions of equity. We found that local perceptions of equity varied across PFES communities because of differences in social contextual factors such as ethnicity and in the geography of the areas that affected the size of PFES payments and the level of PFES implementation. While PFES policy did include distributional equity considerations through formulation of the K-coefficient, this coefficient was not properly implemented on the ground due to its complexity and lack of data. The procedural aspects of equity were found to be lacking. Poor information flows, lack of awareness of rights and responsibilities and the non-participation of local ecosystem service (ES) providers in decision-making processes led to a general sense of inequity and demotivation. This study suggests that particular attention should be given to improve information sharing and communication patterns with local ES providers and to establish a proper grievance handling system for two-way information flow. 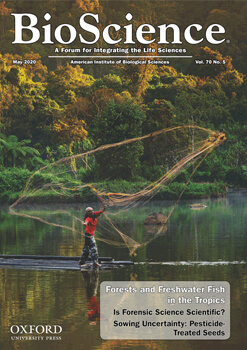 The inclusion of local people in decision-making processes on the key elements of benefit-sharing mechanisms is crucial in aligning PFES benefits with the preferences of local people and could potentially help to motivate their performance in forest management. Policy makers and program implementers will want to examine local perspectives of equity – and to understand how these can change over time  so that they can tailor the design of benefit-sharing mechanisms to generate effective, efficient and equitable PFES outcomes.